Known as "Tani no Okina(Old man of the valley)", a living legend of genryu tenkara fishing, Yuzo Sebata is probably the most well-known tenkara master of Japan. When he was in his early 20s, he met "Nikko Tenkara method", that was inherited by very limited number of mountain people secretly. He mastered Nikko Tenkara the end of the struggle, and subsequent years of mountain stream fishing career and practices he has developed that method by himself. Long furled taper line called "Sebata Line" and his kebaris called "Sebata Kebari" are especially famous. Now we have great opportunity to offer these very famous "Sebata Lines" to foreign tenkara fishers. These lines are limted sales products that have been made by Yuzo Sebata himself. 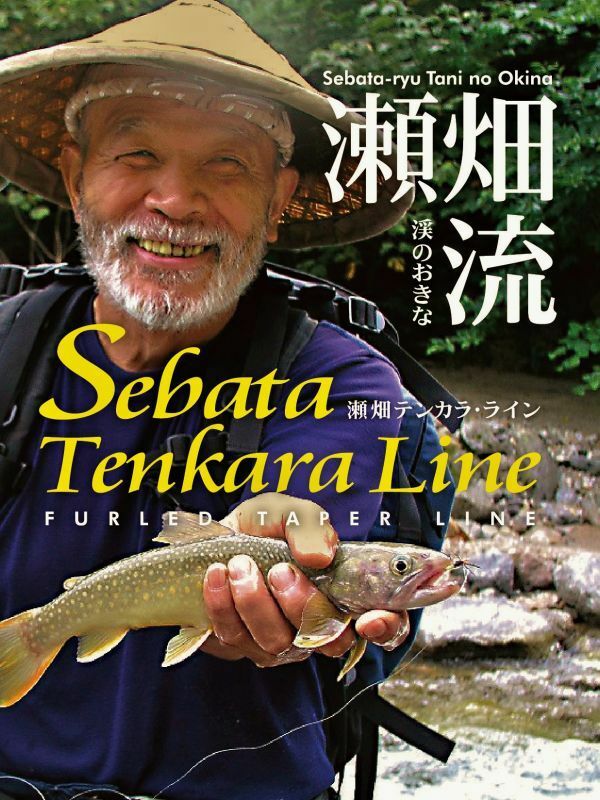 Sebata lines are gems of products that he has completed in the many years of his fishing life. The characteristic of Sebata Line is its flexibility and weight distribution. The line is furled with 4 to 6 supple nylon lines, and it has good weight for casting. You can cast the line very comfortably with 6:4 or 7:3 tenkara rods. This exquisite weight distribution and flexibility of the line does not allow the follow-up of other products. Sebata Lines are using a nylon line that absorb some of the moisture, so if you put the line in the water for 2 or 3 minutes prior to use, the line becomes more supple and easier to handle. The length of the line to the length of the rod is a personal preference, but rod length + 50cm to 200cm is recommended.